The Central Docks neighbourhood will form part of this world class destination on Liverpool’s iconic waterfront and is tipped to be one of the hottest property investments around, with places to live, work and unwind coming together to form a new 24-hour community. This new neighbourhood will bring life back to the former docklands site which has sat dormant for many years. 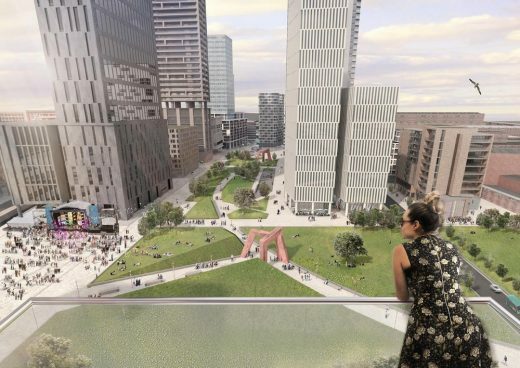 The £5 billion Liverpool Waters project will transform 150 acres of historic docklands, the biggest single regeneration project in the history of Liverpool and one of the biggest of its kind anywhere in the world. 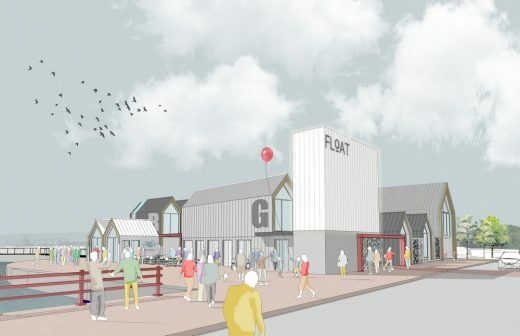 The eight new plots at Central Docks are already attracting interest from investors and developers, with several parties visiting Liverpool to see the opportunities on offer first hand. This Central Docks neighbourhood will be a world class business and leisure district, with over 2,000,000 sqft of mixed use floorspace including 750,000 sqft of quality office space, providing occupiers the rare opportunity of a tranquil setting in the heart of Liverpool city centre, and over 1,000 new waterfront apartments in buildings up to 44 storeys high. All of these new spaces will benefit from a 17 acre public park and views overlooking the River Mersey and the Leeds and Liverpool Canal. “Liverpool Waters is a unique opportunity to invest in a world-famous waterfront and it’s no surprise that this latest phase of the project has already generated interest from investors and developers. 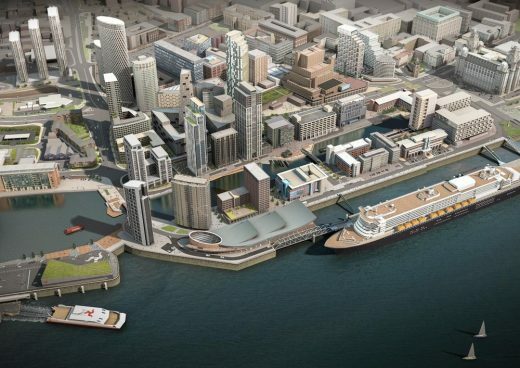 Although the masterplan for Liverpool Waters was announced ten years ago, progress has so far concentrated on the Princes Dock neighbourhood, the new home of the Cruise Liner Terminal, with the bulk of effort going on behind the scenes to secure detailed planning permissions. By the end of this year, the team at Liverpool Waters are expecting to see over £300 million of construction work starting on site. “Central Docks represents a watershed moment for Liverpool Waters. 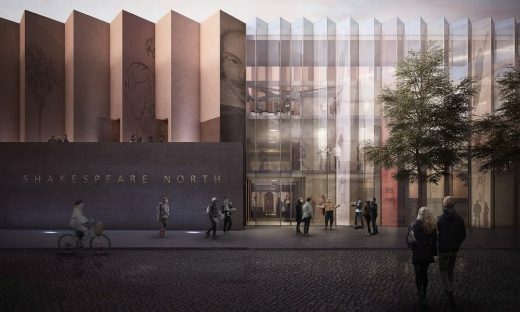 There has been an incredible amount of work done behind the scenes to get us to this point but thanks to the positive attitude of the people of Liverpool, Liverpool City Council and other partners we are now in a position to proceed with this next exciting phase of the project. “It is great to see so many of the region’s leading developers and city leaders joining us at MIPIM to showcase the opportunities on offer at Liverpool Waters and is testament to our shared commitment to re-establishing Liverpool as a global city. Peel Land & Property sits at the heart of The Peel Group with a diverse portfolio and assets under management of approximately £5 billion. The breadth of our assets covers transformational developments including MediaCityUK and Liverpool Waters, in addition to 13 million sq. ft. of built estate which features commercial offices, retail and business parks, shopping centres, leisure and sports venues and residential developments, and 38,000 acres of planning and development estate. 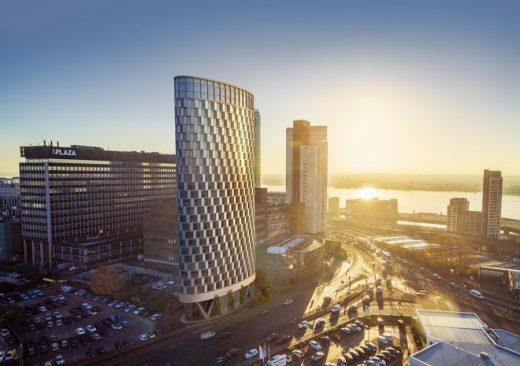 PEEL Land and Property is to develop a residential tower within Liverpool Waters for The Regenda Group, one of the region’s leading housing providers. At around 85,000 sq ft, the multi-storey apartment block in Princes Dock will be built by Peel as the company’s first Private Rented Sector (PRS) development project and bought by Liverpool-based Regenda. Sited on William Jessop Way, the £21 million development will comprise 105 one and two bed apartments which will be managed by Regenda’s subsidiary PRS company, Redwing Living. There will also be commercial space on the ground floor. It is likely to be called ‘Plaza 1821’, commemorating Princes Dock’s opening on the day of the Prince Regent’s coronation as George IV in 1821. 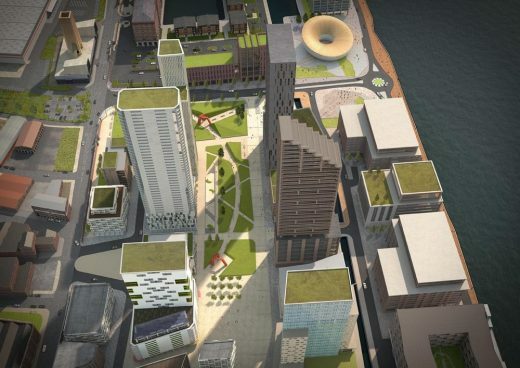 The development forms part of the wider £5 billion redevelopment of Liverpool Waters. 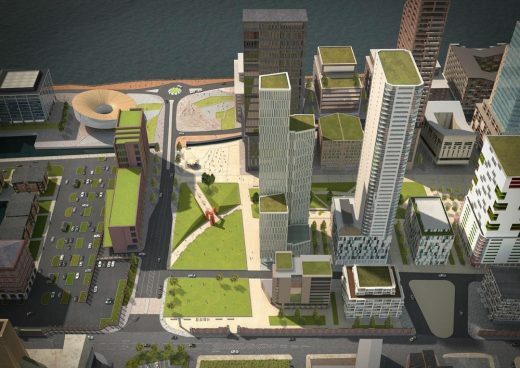 Developers face a wait until June 2012 to find out whether the government will call a public inquiry into a £5.5bn skyscraper scheme for Liverpool’s northern docklands. 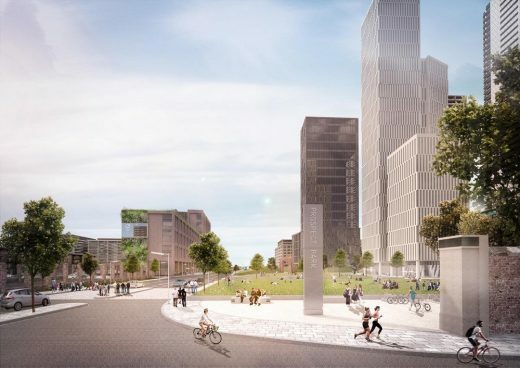 The city council planning committee unanimously approved the Liverpool Waters plan by Peel Holdings for the 150-acre site. UNESCO, which oversees World Heritage Sites, believes the massive scheme would damage the city’s waterfront “beyond repair”, echoing concersn expressed in St Petersburg, Russia, re the Gazprom Tower by RMJM. UNESCO also consider the proposed towers would relegate the famous Three Graces to playing “second violin”. Eric Pickles has to decide whether to call a public inquiry in the face of a threat from Peel Holdings that they would abandon the development and instead concentrate exclusively on its similar Wirral Waters project in Birkenhead, which was given planning permission and did not face a public inquiry. English Heritage have lodged a formal complaint at the proposed Liverpool Waters development of over 30 million square feet. The complaint principally comes from English Heritage’s belief that if the project is to proceed the city could lose its World Heritage Status. At no point were UNESCO more specific about the loss of Liverpool’s status, though it was hinted at indirectly. Talks between Peel Holdings (the developer), Liverpool City Council and English Heritage have been ongoing for four years. 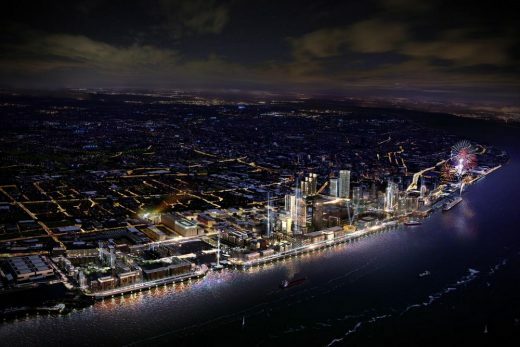 English Heritage have stated they wish the Liverpool Waters project to proceed, but that it should better reflect the heritage of the city, as they believe the change from the largely horizontal dock buildings to the proposed vertical skyscrapers is just too dramatic. 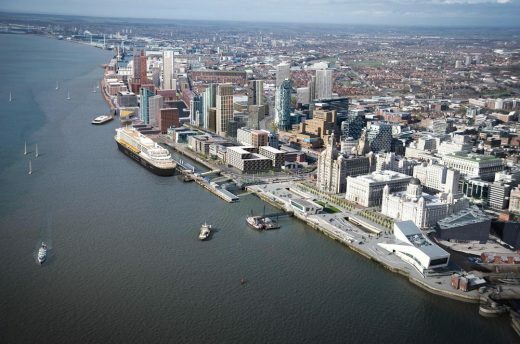 UNESCO demands radical changes to Liverpool Waters scheme or or city may lose World Heritage Site. Liverpool will lose its World Heritage Site status if the £5.5bn Liverpool Waters skyscraper plan goes ahead without “radical” changes, UNESCO inspectors have warned. 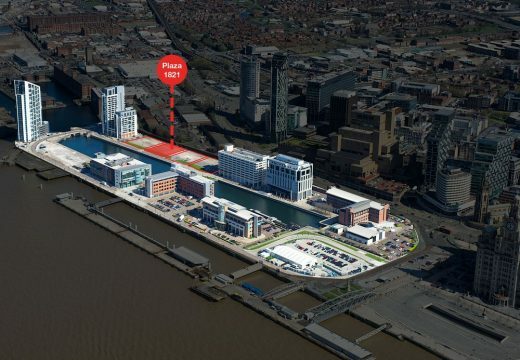 Peel have today submitted the largest planning application in the UK named Liverpool Waters, a redevelopment of part of Liverpool Docks comprising over 14 million square feet of mixed use floor space on 150 acres, an investment of £5.5 Billion.